Derbyshire's home campaign in the Yorkshire Bank 40 competition sees them without defeat. Two rain affected matches versus Lancashire and Surrey, and a win versus Essex at Leek currently has the Falcons in mid-table Group B.
Defeats to Durham and Hampshire have curtailed a charge into the top three of the group, however Derbyshire do have a game in hand on the clubs directly above them. The defeat to the Royals on Tuesday evening could prove decisive as they top the group at present, having played the same amount of games as the Falcons. Tonight's match versus Scotland (4.40pm start) will see an unchanged squad, with Paul Borrington, (left), fresh from a List A career best score of 42, again given the number 3 spot. Dan Redfern hit a timely 53 which has seen the left-hander back to form of what has been a frustrating season to date. Derbyshire beat Scotland earlier in the campaign with excellent individual performances from Mark Footitt and Chesney Hughes. Footitt claimed five wickets and Hughes hit a superb 74 to see the Falcons through to a six wicket victory. Meanwhile, Derbyshire have announced that South African batsman, Albie Morkel, will be their new signing for the forthcoming Friends Life T20 campaign, which starts on Friday 28th versus Yorkshire Vikings. Morkel (left) has recently featured in the Indian Premier League for Chennai Super Kings who finished their campaign as runners up to Mumbai Indians. Morkel claimed 2-12 in the final. 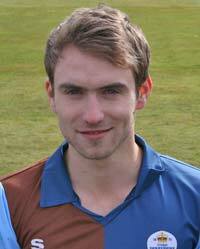 Head Coach Karl Krikken said, "We are delighted to bring Albie to Derbyshire. 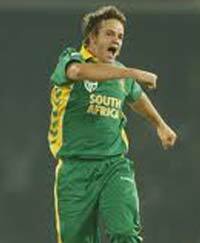 He is an international cricketer with loads of knowledge and experience of limited overs cricket to bring to our young side." Morkel himself commented, "I've always enjoyed the challenge of playing in England and I really look forward to contributing for Derbyshire." The Chesterfeild Post will be covering all of Derbyshire's matches in the Friends Life T20 competition, including the two matches versus Yorkshire Vikings and Durham Dynamos to be held at Queen's Park, Chesterfield on the 14th and 21st July respectively.